There’s no question that pain and fatigue are complicated symptoms that are frequently difficult to explain and understand. 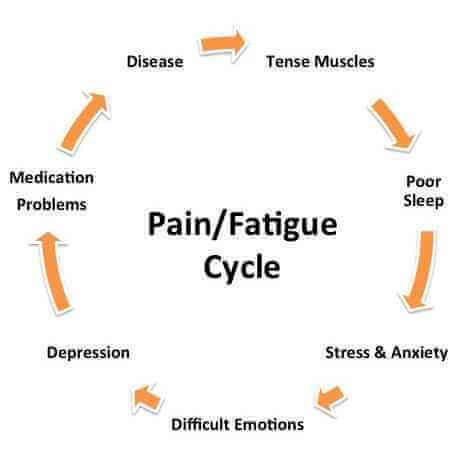 Like other aspects of RA, however, pain and fatigue are most effectively controlled when they are understood. For this reason, the person who makes the effort and takes the time to learn the causes, significance, and aggravating factors of his or her pain and fatigue is much more likely to be able to manage these symptoms. 1.3 What Is the Pain Message in RA? 2.1 Why Am I So Tired? The pain of RA may be the most burdensome feature of your illness, especially when pain interferes with your ability to function as you once did. Because RA is a chronic condition, you may wonder whether you’ll always suffer this much pain. The answer is No! A very simple explanation of pain is that it begins as a message from stimulated nerve endings (or pain receptors); this message is transmitted from the nerves to the spinal cord to the brain, where the message is interpreted as pain. Irritation, inflammation, or injury can activate the pain receptors. Even when the message is painful, we have to be thankful for it because it can prevent a more severe injury. For example, when you accidentally touch a hot stove, stimulated pain receptors in your fingertips send a message to your brain that a dangerous situation exists— tissue is being damaged. After your brain interprets the signal, it quickly sends a message back to the hand: “That hurts. . . . Pull away!” Pain can protect us! The circuitry from the painful stimulus to the brain and back is incredibly intricate. In 1965 Ronald Melzack and Patrick Wall proposed the gate theory of pain, which helps us understand just how complex pain perception is. They suggested that there is a “gate” located in the spinal cord which can be opened or closed under various situations. According to these researchers, when the gate is open, pain messages can pass through to the brain (although only a limited amount of sensory information can pass through the gate at one time). Interestingly enough, the body can send messages that compete with each other; one message can send a pain signal, and another can effectively close the gate to prevent that signal from being received. If you have ever stubbed your toe or banged your elbow you have experienced this phenomenon. Once you begin rubbing the affected area (as most of us will do under the circumstances!) you send a message that competes with the pain message. This instinctive reaction to pain actually works because the sensation of rubbing is transmitted to the spinal cord through nerve fibers which are larger than the fibers through which pain travels to the spinal cord. The message of rubbing is dispatched rapidly to the spinal cord, whereas the message of pain travels slowly, through small nerve fibers. Reaching the spinal cord before the pain message, the comforting, rubbing message blocks out the slower, sharp pain signal and prevents it from reaching the brain. Without knowing it, you have closed the pain gate by your instinctive reaction. The brain also appears to have its own mechanisms for decreasing acute pain; that is, in times of need, the brain apparently has the capacity to send signals to close the gate. This capacity to close the gate is extremely powerful. We have all heard accounts of someone running into a burning building to save a child, for example. Although that person gets burned, she continues on with her quest to save a life. Or what about the football player who crosses the goal line on a broken or sprained limb? These individuals often relate that they felt very little pain during the experience. Why? The theory is that the body produces its own morphinelike substances, endorphins and enkephalins, and that these protective chemicals may be responsible for closing the pain gate in the situations described above. Stories such as these make us appreciate how powerful the brain can be in overcoming pain. Chronic pain, which can be nearly continuous or unremitting, is very different from the transient and acute pain described in the examples above. It differs both scientifically and emotionally. 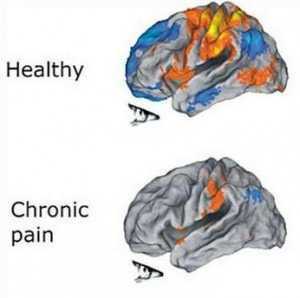 The brain can overcome chronic pain, too, although different processes are required for it to do so. Researchers, physicians, and patients all know that the degree of pain experienced from RA is not always proportional to the amount of inflammation present. From this fact we must infer that some people perceive pain more intensely than others. 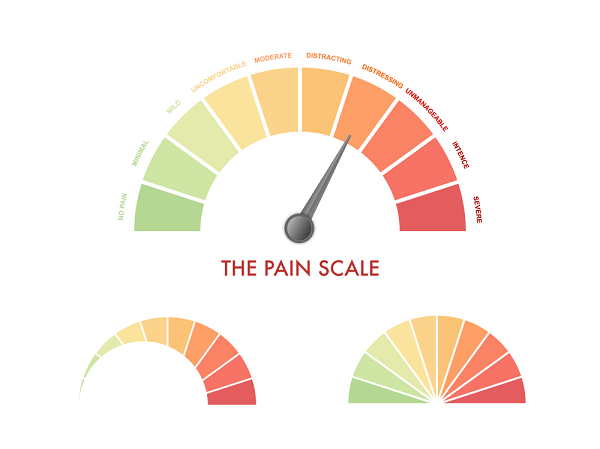 How intensely you experience pain is linked in part to your emotions and to your understanding of what the pain signifies. Residual pain that follows war injuries is a well-documented example of how a person’s perception of pain can be affected by the meaning that person attaches to it. In these instances, people who are severely wounded in battle often report feeling little or no pain after the injury. Perhaps this is because the injury signifies their freedom to return home. Or maybe their pain reminds them of the courage they displayed while fighting for a cause. On the other hand, a senseless and arbitrary automobile accident with a similar degree of injury will usually cause great emotional and physical pain. Because the pain of RA has different personal significance for each individual, it only follows that the pain will be experienced by each person differently. The person for whom each twinge of pain symbolizes loss of function and control will probably vigilantly monitor and focus on his pain . . . and may end up feeling that pain more intensely than someone who learns to view pain as a message that allows him to modify his actions and prevent joint damage. Sometimes a positive attitude really can improve your condition. Emotions and attitudes also play a remarkable role in the perception of pain. Does that mean that the pain is all in your head? Certainly not! It is in your joints and muscles. But your emotions can intensify or lessen the perception of that painful stimulus from the joints and muscles. People who feel confident, organized, and in control often experience less pain. 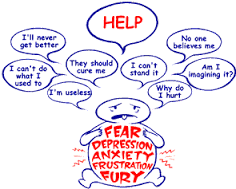 Those who are fearful or depressed suffer much higher levels of pain. Do any of these conditions sound familiar? The truth is, we all encounter these conditions in our day-to-day lives. Many of them are unavoidable. Depression, fear, and other emotional reactions to life events (and to life in general) can provoke muscle tension, as can poor sleep patterns. In RA as in other conditions, these factors often trigger a vicious cycle of pain which is difficult to break. What Is the Pain Message in RA? We’ve stated that pain is a signal or message. What exactly is that message in the case of RA? 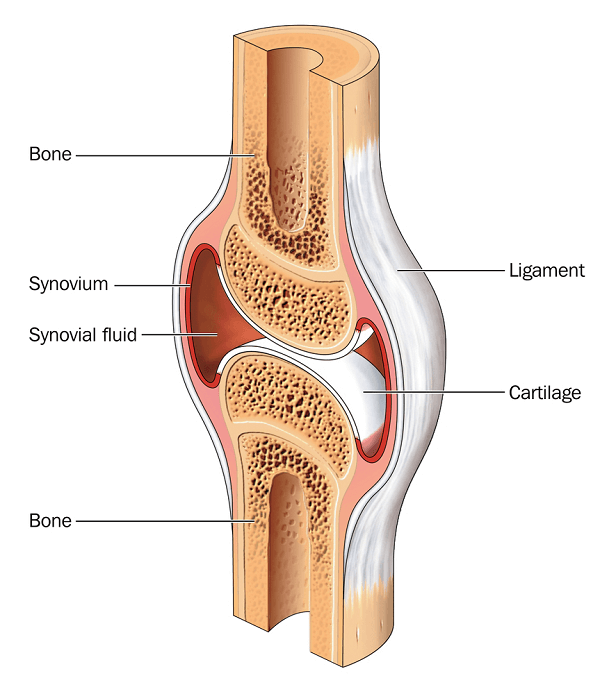 In RA, inflammation that occurs in the joints can irritate nerve endings in the joint lining (synovium), capsule, and ligaments. This inflammation leads to swelling within the joints which causes these same structures to become stretched. Inflammation causes pain, and that pain is intensified by swelling. Pain from joints that are highly inflamed (warm, swollen, and tender) sends the following messages: (1) Respect your pain. (2) Slow down, you’re overdoing it. (3) Protect and rest your joints until the inflammation subsides. Just because pain is a valued signal doesn’t mean you have to suffer through it without trying to decrease its intensity. After all, pain is exhausting! The first step in decreasing the intensity of pain is accepting that pain exists in your present life. This doesn’t mean that you should surrender to a painful existence; it simply means that you must accept the fact that your joints are painful today and that you’ll need to direct your energies toward getting through today. If you are filled with regrets about the past and fears of the future, you are unsuccessfully fighting the presence of pain in your life. Regret and fear are wasted emotions that create feelings of guilt, blame, and anxiety, and these cause you further pain today. It is true but ironic that accepting pain is the first step in decreasing it. Next, recognize pain as being a very personal experience. Understanding that each person has a unique awareness of his or her pain is critical because effective strategies for combatting pain will differ for each person. You will need to take responsibility for your experience of pain, from how you perceive it to how you handle it. This does not mean accepting the blame for having RA. Rather, it means not viewing pain as an outside force that is directing you; don’t allow your pain to have that much power! Instead, view pain as a force over which you can exert some control. This will mean assessing the source of your pain, conditions that worsen it, your perception of it, and options that will allow you to direct it. Once you have accepted the presence of pain in your life and taken responsibility for your unique experience of it, how can you begin to control it? You can select any or all of the following options. Define and assess your problem. To use this coping tool , think about what is causing your pain. Trace your daily activities to determine whether some specific activity may be aggravating your unusually painful joints. If you identify such an activity, plan ahead to modify it in the future. The following examples may help you to find the cause of your pain and develop methods to alleviate and control it. 1.Pain in the morning. Morning stiffness and pain are usually related to inflammation. Setting your alarm clock to go off one hour before you need to get out of bed can help. Keep your medications at bedside, and take them then. 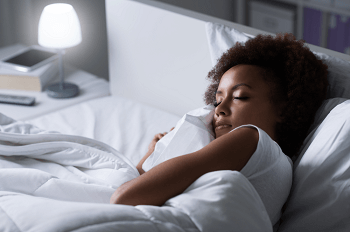 An electric blanket can be useful in warming up the bed and your joints. Perform your gentle range of motion exercises in bed to loosen up your joints before getting up. After you have risen, go directly from bed to a warm shower or bath (maybe someone else can draw the bath ahead of time). In other words, ease into morning slowly, and give your joints ample time to loosen up. 2. Pain after sitting (called gelling). This pain is also caused by inflammation in the joints. Gelling can usually be alleviated by taking frequent stretch breaks during prolonged stationary periods. 3. Pain after exercise. If pain persists for more than two hours after exercising, you have overextended yourself. Analyze your exercise— distance walked, number of repetitions done, footwear worn, etc.—and review your exercise program with your doctor or therapist. The general approach here is to analyze painful activities, either by taking mental notes or keeping a diary, and then modify them. Protect your inflamed joints. Protecting inflamed joints from excessive stress will decrease pain. Your occupational therapist, an expert in this area, will be an invaluable source of information to you. Skills for protecting your joints only require a little extra time, and once you see how effective they are, you undoubtedly will make them an automatic part of your daily life. Improve your muscle health. The two methods of improving your muscle health are to (1) reduce muscle tension and (2) increase muscle strength. We have described how muscle tension contributes to joint pain. Certainly, warm baths or showers, warm compresses, relaxation techniques, gentle message, imagery techniques, adequate rest and sleep, and tailored exercises will be of great value in reducing muscle tension. You can learn to do many of these treatments for yourself. Close the pain gate. Emotional factors are as crucial as physical factors in creating your experience of pain. What methods can you employ to decrease the transmission of pain through the pain gate? 1.Utilize distraction. An enjoyable pastime is always an excellent means of distracting your mind away from pain. Watching a favorite television show or videotape, going out to the theater to see a movie or play, reading a book, telephoning an old friend, taking a college course, exploring new hobbies—all of these activities can take your mind off your joints. Look for fun. Laughter is a great analgesic (pain reliever) and muscle relaxant that has no adverse effects. The prospect of having fun might seem inconceivable because you feel so miserable. If you make up your mind to pursue enjoyable activities, however, you will have fun. 2. Change your beliefs about pain. There are two ways to accomplish this. One is to view your pain scientifically as being a valued signal that provides a protective function for your joints. Viewed this way, pain is less likely to foster fear, anxiety, or depression. Another technique is imagery. When your pain is overwhelming, try using visual imagery to change your view of it. Here are two examples. Begin each of them by sitting or lying down and then closing your eyes and taking a few long, deep breaths. Example 1. Concentrate on your warm, painful joints, likening them to an uncomfortably hot, blazing fire. Imagine yourself slowly moving farther and farther from the flames, feeling less heat. Or imagine a cool, summer shower gently extinguishing the fire and pain. Example 2. Think of the pain throbbing in your knees as being like a team of horses, galloping out of control. Imagine yourself controlling the reins, slowing the horses down to a gentle pace. Then visualize the pleasant ride through the countryside, breathing in the fresh air, enjoying the surroundings. In each of these examples, you are creating healing images to counteract the painful ones. If you can become involved in your images, your body will respond as if they were real. Muscles will relax, heart rate and breathing rate will decrease, and pain can subside. 3. Address your stress, anxiety, depression, and fatigue. Remember that these symptoms and emotions lower your pain threshold by opening the pain gates and creating muscle tension. As mentioned above, learning to avoid activities that increase your joint inflammation is crucial, but if you do find that you have some postactivity inflammation, try applying cold packs (or wrapped “blue ice”) to the warm joints for 20 minutes. Always wrap ice in towels before placing it next to your skin. There are several approaches to controlling inflammation. Most notably, your physician will prescribe medications for controlling inflammation. Nonsteroidal anti-inflammatory drugs (NSAIDs) are commonly used to decrease pain and inflammation over a period of days. Other medications that are intended to induce more sustained improvement (DMARDs) may help pain, but they work over weeks to months by inducing control of the rheumatoid process. Narcotics mask pain without changing the underlying condition, and so your physician may be reluctant to prescribe large amounts of these medications for you. This is not because he or she is heartless; rather, totally masking pain would not be in your joints’ best interests. Remember, pain can provide a valuable message; if you don’t feel pain, you will not receive your body’s warning signal, and you may overexert yourself and cause serious damage to your joints. Another reason your physician will want to avoid having you use narcotics on a long-term basis is the addictive potential of these medications. 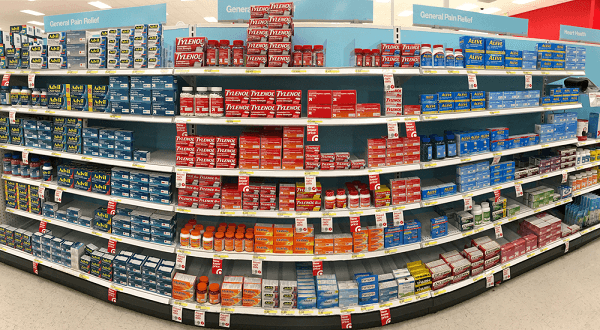 If you develop a physical requirement for these medications, you may find that you have relinquished control over your body and given it to the prescribing physician. This places you in the uncomfortable position of having to convince your doctor that you are in severe pain so that he or she will continue to prescribe narcotics for you. If you can use your mind’s capacity to control pain, you will be in charge. You may find that fatigue is the most incapacitating feature of RA. 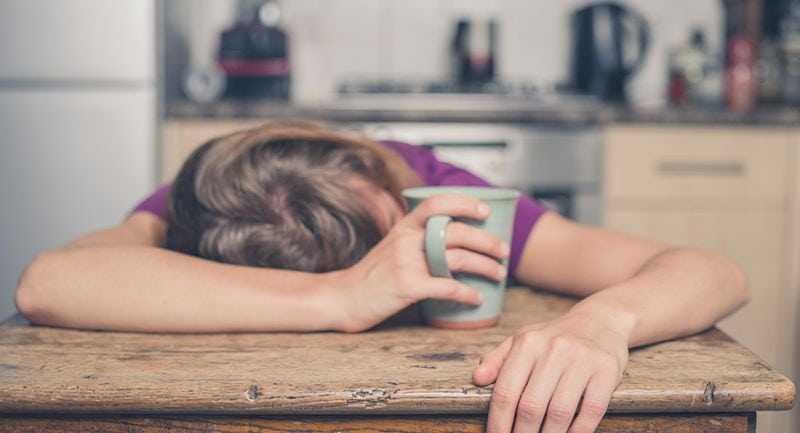 Fatigue can limit your concentration and ability to function so that even mustering sufficient energy to care for your family or to participate in social activities—much less to deal with the responsibilities of the workplace— can be difficult. The normal demands of everyday living can sometimes appear overwhelming to the person who is chronically tired. Sometimes the fatigue and loss of energy which result from RA are severe. In fact, many people think that there must be something else wrong with them in addition to arthritis because they can not believe that arthritis alone can affect their energy so drastically. Fatigue may be unpredictable, and so it can interfere with the plans you’ve made. You may feel exasperated or frightened by this loss of control over your energy level. Tiredness also contributes to depression, anxiety, and increased pain; remember, fatigue increases pain in your joints. You need to know what you can do to alleviate this pervasive symptom. Fatigue or decreased energy in RA can be caused by the condition itself or by emotional upheaval, pain, lack of sleep, and general lack of physical fitness. Remember, RA is a systemic condition that can affect more than just the joints. The anemia that sometimes results from the condition, for example, can contribute to fatigue. Also, fatigue may be a consequence of inflammatory substances (cytokines) in the blood. This fatigue may come on suddenly, early in the course of the disease, and may resemble the tiredness that accompanies a virus or flu. Effective control of RA through appropriate medications will lessen this component of fatigue. Your emotions alone can exhaust you; think of how tired you feel after you’ve had a particularly emotional experience. 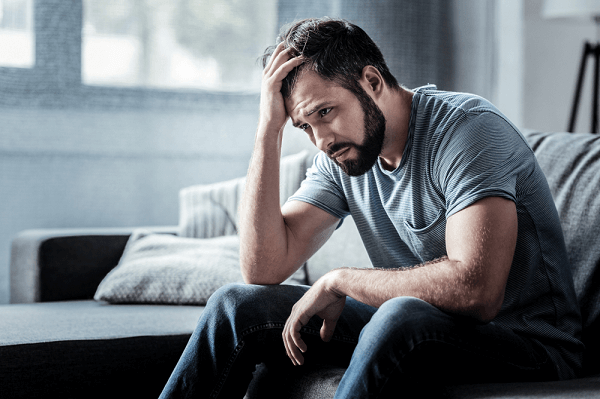 Pain can be emotionally and physically exhausting, too; and when pain is combined with anxiety and tension, limited energy reserves can be depleted easily. Depression can amplify fatigue. It’s easy to see that effectively controlling pain, anxiety, and depression is an important factor in controlling fatigue. Obviously, fatigue can be the result of inadequate sleep. For people with RA, painful joints, tight muscles, fear, and anxiety frequently interfere with the ability to get a good night’s sleep. Finally, when people have had RA for a while, they may get out of condition. This loss of physical fitness may be a consequence of decreased activity, and it produces a different form of exhaustion. Get adequate rest. Individuals with RA require more rest than they did before they developed the condition. Adequate rest takes many forms, including physical, emotional, and local rest. Getting adequate sleep is imperative because sleep provides a healing factor for the body and the mind. We recommend ten hours of sleep daily, particularly during periods when the arthritis has flared up. You may prefer to sleep eight hours at night and take two onehour naps during the day. If getting adequate sleep proves difficult, ask your doctor to recommend or prescribe pain or sleeping medications to help you. We can sometimes rest physically and emotionally at the same time— this happens when we sleep, for example. Taking a fifteen- or twenty-minute break in the morning and afternoon can also make an incredible difference in productivity. Learning and performing stress reduction and relaxation techniques during tense times may be particularly beneficial. During these breaks try to relax your mind and body. If you can manage to lie down with your feet elevated, you’ll increase the benefits of the break. Taking these prescribed breaks routinely each day may allow you to avoid the severe exhaustion that occurs when you become overly fatigued. From time to time it’s a good idea to reflect on the day’s activities. Think about what you did during the day and when you felt most tired. This review exercise will allow you to schedule strategic rest breaks during the day which will help you avoid becoming overtired. If necessary, discuss these recommendations with your employer; he or she will probably agree that this is time well spent. It is to everyone’s benefit for you to retain your energy so you can be as efficient and productive as possible. Local rest means resting specific parts of the body. Getting local rest will help you protect your joints from undue stress; this can be achieved by wearing splints, which can be fabricated to protect the wrists and hands, and by using techniques designed to reduce joint stress. After you have thrown out the shoulds, divide the remaining tasks into steps. Discard the all-or-nothing philosophy. (Cleaning day—”I must do all my cleaning in one day so my whole house is clean at one time”—is an example of an all-or-nothing item you may find on your list.) Do a little each day, and eventually it will all get done. A little organization and planning will save you vast amounts of wasted energy. For example, an efficient work space is extremely important. In your place of employment, store all the equipment that you generally need within easy reach and at a convenient height. Put things in their place, and know where things are kept. This way you won’t waste energy looking for things or getting up frequently to retrieve something. Avoid clutter, and ask others to help you with this. For you, effective planning might involve participating in more bulk activities. For instance, cooking bulk quantities on the weekend is a great idea. Making a large pan of lasagna or batch of chili and freezing portions for future use can save a lot of energy during a busy week. And if you wake up not feeling very well, you can take a package from the freezer for dinner later. Keeping convenience foods on hand for bad days is another good idea. Bulk shopping can be useful, too. Once a month take someone shopping with you and purchase staple items that you know you’ll need for the month: sugar, flour, condiments, paper goods, cereal. That way you’ll only need to shop more frequently for perishables, and your shopping load will be lighter. Avoid purchasing items in industrial size containers, however, because these will put stress on your hands and wrists (or, if you prefer to buy goods in these large containers, make plans to divide them up into smaller portions). What about energy for social outings? You may be avoiding all social events, fearing that you won’t have enough energy or that you’ll hold everyone else back. There are some activities you will temporarily need to avoid when your energy level is very low. These activities include all-or-none outings that don’t allow time for adequate rest breaks. Large group walking tours are notorious for this, and you shouldn’t push yourself in an effort to keep up. If you must decline a social invitation, be sure to let your friends know that you are still interested in future activities and want to be included. Your tasks will be to help organize activities for your family and friends which will allow for rest and to remember to rest adequately the day before a planned activity. Only you know your own limitations. If you take an interest in outside activities you’ll find that loved ones can be extremely flexible. After all, it makes them feel bad when you can’t participate. So, get involved. We waste a lot of energy during the course of a day, so part of effective energy conservation involves asking questions such as, “Is there an easier way to accomplish this?” Simple changes, such as taking the elevator instead of walking the stairs, can save energy. Using carts to carry equipment or utensils even for small distances saves energy and wear and tear on hand and wrist joints. Sitting down to do activities that you usually perform standing can reduce knee and hip fatigue. Consider this: Do you really need to stand to wash dishes or shave or fix your hair? Break habits! Get a high stool, sit, and relax while you perform these necessary tasks. You can also avoid wasting energy by establishing a step-by-step routine for tasks you undertake regularly. With proper planning, you can reduce the steps in some tasks and combine the steps in other tasks, and perhaps you can even eliminate some steps. Make each task as simple as possible. Pacing involves developing guidelines for energy expenditure. The amount of activity that precipitates fatigue among different people is extremely variable, so you are the only one who can set guidelines for yourself. As a general rule, however, it’s a good idea to alternate energy-intensive activities with more relaxing ones throughout the day. This kind of balance added to your routine can prevent excessive fatigue. Almost everyone with RA tries to “catch up” on days when they feel well, but using good days to their maximum has its drawbacks. Try not to overutilize those days since doing so may result in a flare-up of your arthritis. Do not try to do everything by yourself. Instead, divide chores among several people to help lighten the workload. If you live with a partner or children, your job may be easier. If your children are old enough, set up schedules and jobs. It is simple to provide incentives to convince your children to help you since there is always some small reward that they can earn. Helping with household chore is a great lesson in responsibility as well. If you live alone, the challenge is greater, although not impossible. Meeting the challenge involves asking family or friends or neighbors who might be willing help you. If you can think of something that you can do for them in return, you won’t be so reluctant to ask for assistance. For example, many young couples have difficulty finding affordable baby sitters whom they can depend on and trust. When presented with the opportunity for a free Saturday night, they will probably view your request that they mow your lawn or vacuum your carpets as a great bargain. Your imagination sets the limits, and everyone wins! If you have special skills, use them in exchange for help. Obviously, many people will be happy to help you for nothing in return. The important thing is for you to feel good about asking for help. Being out of condition will almost always result in fatigue, and having RA means that it will be more difficult to stay in top condition. When your arthritis flares up, you have to rest your joints and muscles. This in turn leaves your body out of condition. With appropriate medical therapy, the inflammation in your joints will eventually decrease. At this point you will need to get more involved in an exercise program. Medications are useful in the long-term control of fatigue. As disease-modifying anti-rheumatic drugs (DMARDs) begin working to control your RA, fatigue will also lessen. Anemia will also improve with the control of arthritis. Use the skills above to cope with fatigue until your arthritis is brought under control. Then continue using them to make your life easier, more convenient, and more fun.